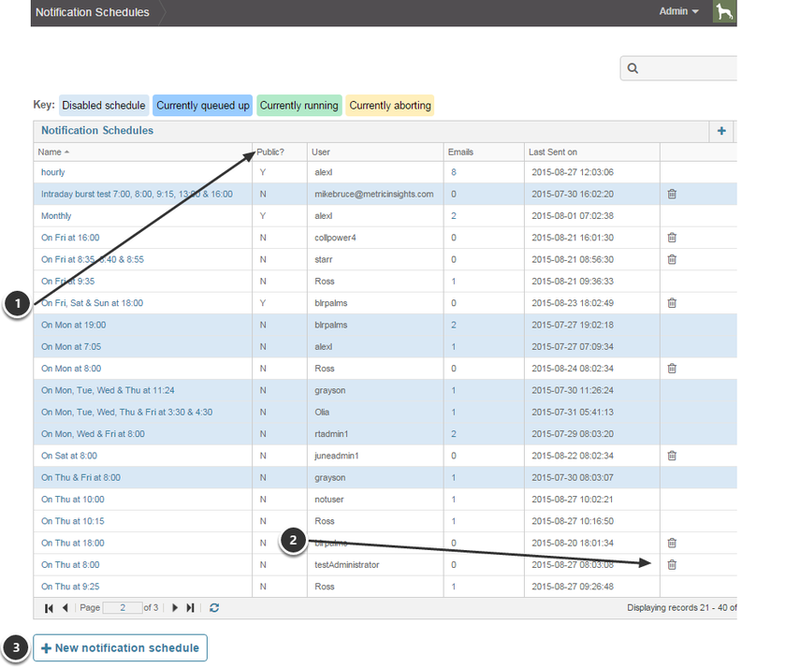 When users opt into receiving e-mail notifications for alerts, annotations, and/or expired Elements, one of the related options is how frequently the system distributes these e-mails. 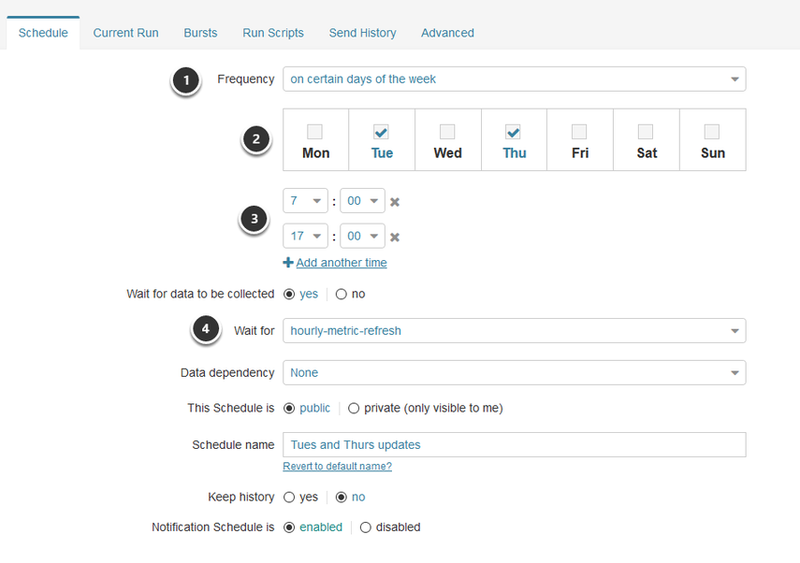 The available frequencies are created and managed in the Notification Schedule Editor. This function, restricted to Admin users, is described below. 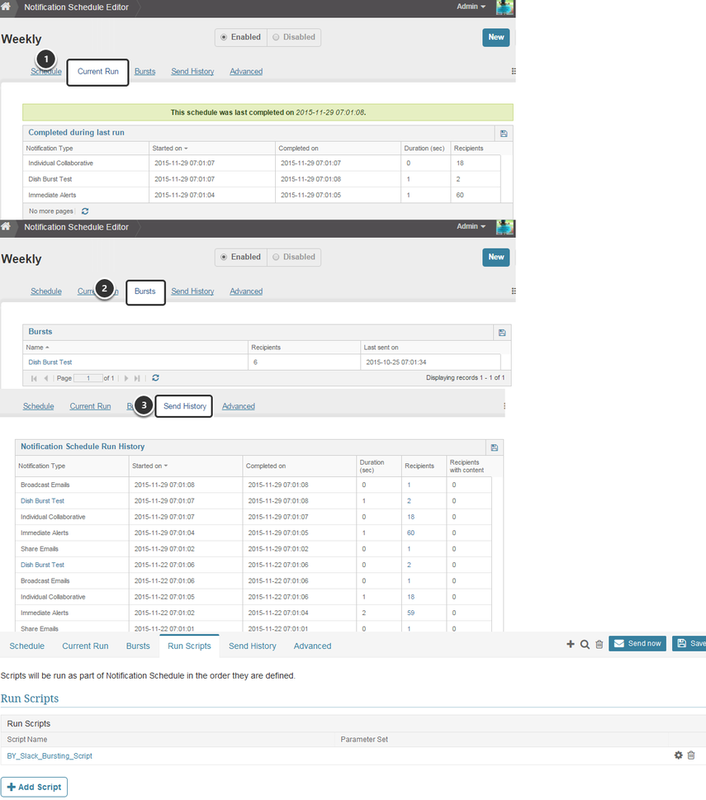 System opens the 'Notification Schedules ' list containing all existing schedules, both Public and Private. 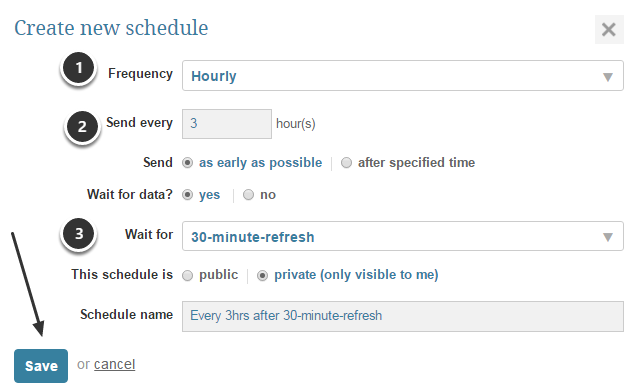 To edit an existing schedule, click the 'Name' link in the grid to open the Notification Schedule Editor. If you chose to Wait for data collection, you must choose the appropriate Data collection trigger from the pick list.